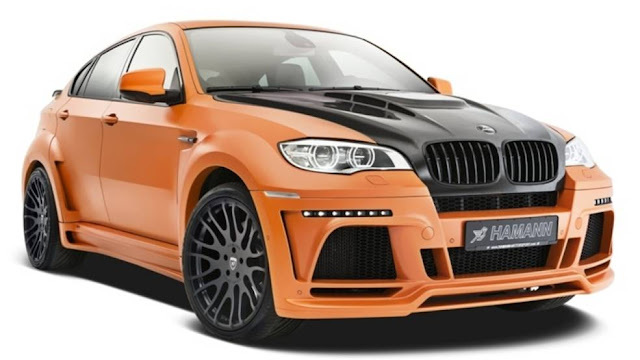 Speedmonkey: Hamman Tycoon II M - "The chubby BMW X6 M a nimble top sprinter"
Hamman Tycoon II M - "The chubby BMW X6 M a nimble top sprinter"
Hamman is a German tuner and they've breathed Swabian fire all over the BMW X6 M to create the Hamman Tycoon II M.
I read about the Hamman Tycoon II M in Bild.de. Normally I'd use Google translate to decipher key facts, credit Bild and create a short story with some photos. Nothing different to what every other auto outlet does. But the Google Translate version of Bild's story is so hilarious I've recreated it word for word here. A colossus very fast Soles: The Swabian tuner Hamann makes the chubby BMW X6 M a nimble top sprinter. Brachial It does not just under the hood to the point. Also the design is in the eye like a boxing glove on the stomach. And in view of the many final price tag expected, the lights go out. But already in the state makes the powerful tycoon alarm. The not exactly subtle anyway X6 a so-called wide body kit has been created that makes him appear even wider and thus heavier. His hood is made of expensive carbon fiber. So that everyone can see, it was not painted. Large openings of the new spoiler supply the engine with the necessary fresh air. Also, the rear bumper has been redesigned. Carbon is also found in the cockpit. The rest of the inner space is covered with leather, alcantara. Who wants to face the Tycoon II M in the garage, must transfer for the complete car at least 169 000 EUR to Hamann.